What the Maximum Current the Thick Film Ceramic PCB can be Carried? A lot of customers ask us what the biggest current his circuit can be carried, or how can I got a 6 Amps trace? We believe most of engineer design the thick film ceramic PCB, he will consider that, so we share information bellowing and hope it’ll be helpful for you. When you try to know current, you also need to know the watts of trace will be, and then need to know the power density of thick film ceramic PCB firstly. The power density for conductor itself should be limited to max 600 Watt/inch2 of conductor surface. And power density for an Al2O3 substrate should be limited to 8 Watts/in2 (for the total of all conductors on top of it). If you have a Ag conductor line of 0.3inch long, 0.010 inch wide (=30 square (0.3/0.01)), the surface area is 0.3 x 0.01 = 0.003 in2. This means the carrying powder P is limited to 600 (power density) x 0.003 (area) = 1.8 watts. Assume conductor resistivity is 6mOhm/sq/12.5um (material P/N: ESL9562), the resistance value R = 30 sq x 6mOhm = 0.18 ohm. If the trace keep 0.3 inch long, but change width to 0.02inch, (=15 square (0.3/0.02), the surface area is 0.3 x 0.02 = 0.006 in2. This means the carrying powder P is limited to 600 (power density) x 0.006 (area) = 6 watts. And resistance value for that trace will be 15 square x 6mOhm = 0.09 ohm, and then 3.6/0.09= 40, I=6.325 amps. If the trace width keep 0.01inch, but change line to 0.6 inch long (=60 square (0.6/0.01), the surface area is 0.6 x 0.01 = 0.006 in2. This means the carrying powder P is the same as 6 watts. (600×0.006). But the resistance value for that trace will change to be 60 square x 6mOhm = 0.36 ohm, and then 3.6/0.36= 10, I=3.16 amps. So you can see, it’s no useful to change the trace line. So if you want to have bigger current for thick film ceramic PCB, then you need to increase the width of trace. Hope above is clear for everybody. Please leave your comments on that power density of thick film ceramic PCB. Chinese Lunar New Year (Spring Festival) is coming soon. Thanks for your support in 2014 and always appreciated what you did for us! Looking forward to doing more with you in 2015! As you know, production line before and after our long holiday will be extremely busy, and some worker will still home until Feb 12th, so lead time during this period will be at least 1-2 weeks longer than normal. For repeated order, deadline will be 1 days later. We also have limited quick-turn service for 1-4 layers FR4 PCB. Contact us if any requirement. 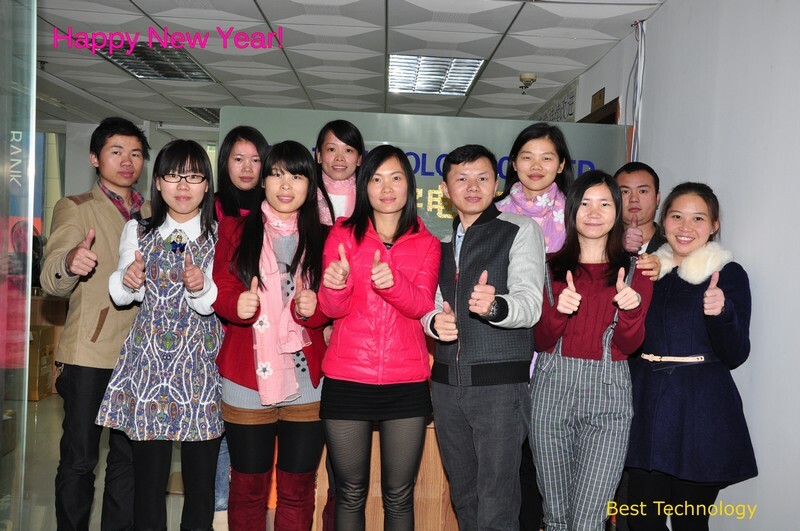 Best Technology always to be your best partner of FR4 PCB, Metal Core PCB, Ceramic PCB , SMT/PCBA in China. Happy 2015! Happy New Year! 2015 is coming now! 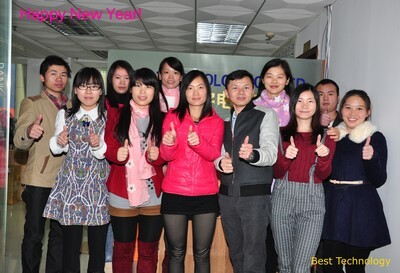 Today (Jan 4th) is the first working day in China and of course 1st day working day in Best Technology. When we look back to see what happened 2014, we grow up with the help of our customers, suppliers, friends, employees, step by step. In new 2015, let’s work together, shoulder by shoulder, to achieve a brighter, more prosperous New Year! We can do nothing without you! Always believe, Best Technology will be your long-period, reliable partner in China, for Metal Core PCB, Ceramic PCB, FR4 PCB, rigid-flex circuits, various special circuit board, SMT Stencil, SMT and PCB Assembly. You are currently browsing the PCB & MCPCB - Best Technology blog archives for January, 2015.